A broad variety of businesses covered. BOP, Workers Compensation, Commercial Automobile, Umbrella and Miscellaneous Professional Liability. Eagle Agency offers Big "I" member agents choice. There are two ways to write business through Eagle Agency: Eagle Agent and Eagle Express. How a company deals with year-end planning issues can have a significant effect on what kind of surety support Goldleaf can achieve for them in the upcoming year. Owners/managers whose businesses are profitable and growing sometimes fail to prioritize year-end issues with their future surety support in mind. They may consult other professionals - for example, their attorneys, bankers and tax accounts. However, good advice from these perspectives may not further, and actually can compromise and destroy, a company's surety capacity. Therefore, if continued or expanded surety support is critical to a company's growth next year, they need to weigh surety-oriented considerations against the other considerations that guide their year-end planning. 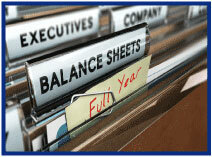 Consider upgrading the company's year-end financial statements. Increased surety capacity depends greatly on the "reliability" of the financial information provided to the surety company. Generally, surety companies prefer to see financial statements prepared by a respected certified public account (CPA) that is familiar with the company's industry. In all cases, you should have your year-end statements prepared on the "accrual basis." Statements prepared on the "income tax basis" or "cash basis" will present the weakest picture of the company's financial position. Build equity. If a company is a "S-Corp," accumulating equity may seem counter-intuitive. After all, owners are paying personal income tax on the company's earnings, and it may seem right to take out what you have been taxed on. However, a company's bonding capacity depends, in large part, on company equity. Do not over-emphasize tax planning. No one wants to make money and send it all to Washington, D.C. However, if a company has had a profitable year and wants to continue growing with contracts that require bonds, they need to balance their tax planning against the other goals of the company. Reducing taxable income means reducing the net income that otherwise can be used to show profitability and equity growth on the company's financial statements. Owners should check their personal credit scores. Individuals are now entitled to obtain a free copy of their personal credit report from the three major credit reporting agencies each year. Owners should take advantage of this as all surety companies check personal credit when underwriting for surety support. Improve the company's "working capital" position. Positive working capital is a major factor in bonding. Improve the company's "liquidity." Before year-end, clean up as many of the accounts receivable as possible and convert to cash. Obtain an increase on the company's operating line of credit. As a company's revenues grow, its operating credit facilities should be growing as well. Do not undertake ownership changes without considering the surety implications. Depending on how they are financed, buy-outs and other ownership changes can compromise (and, in some cases, can destroy) a company's bonding capacity. Anyone planning to stay in the company should be aware that if an ownership change in not handled properly from the surety company's perspective, the resulting loss of bonding capacity will drastically drop the value of the surviving company. It is not only at year-end when companies may be making decisions which will impact their financial statement. During anytime of the year when decisions arise which may impact the financial statement, companies should contact Goldleaf to discuss the impact of those decisions on their bonding support. Goldleaf Surety can provide counsel to agents and their insureds - both with year-end considerations as well as other surety considerations - needed to grow and improve the company's surety support. For more information on bonds - or for help with your clients bonds needs - log in to www.bigmarkets.com or email us at bigimarkets@iiaba.net and an underwriter will contact you. Verify/Enter the agency information on Step 1. Verify/Enter agency tax ID and banking information on Step 2. Enter whether you are tax exempt or not. If you have received a notification that you are not exempt from withholding, you must check "NO". If you are unsure, you should confirm with your tax advisor. Click 'Next' to save the information. NOTE: You may exit the online registration at Step 3 and your EFT sign up will be complete. However, we encourage you to continue and verify all of the information for your agency, including adding any new users. We know security of your information is a primary concern. We use secure socket layer (SSL) protocol to secure the information exchanged between the server and browser. SSL encrypts the data before it is sent over the Internet and decrypts at the server side. We are utilizing our standard security protocols to protect your data on our server. If you have any questions or concerns, or require technical assistance, please contact us at bigimarkets@iiaba.net or 703-647-7800. When water freezes it expands in volume by nine percent, so if the water pipes in a home freeze the pressure can build up until the pipe ruptures. When the water in the pipe melts it will shoot or pour out of the new hole(s). That's when the plumbers, water mediation specialists and, remodelers are called in. When pipes freeze and then thaw it can result in multiple frozen rooms, upper window icefalls, or septic system woes. New construction isn't safe from freezing pipes and areas that don't normally get prolonged freezing weather such as east Texas can be especially vulnerable. CPVC & PVC are more flexible than copper and thus can withstand more pressure but are not immune to it as this study on freezing shows quite dramatically. AIG has a new information flyer you can send to your clients to help them avoid becoming a victim of a frozen pipe rupture. An ounce of prevention is worth a pound of claims. AIG's Private Client Group homeowner coverage is available for dwelling replacement cost coverage valued at $500k or more in most states. AIG's Private Client Program is available to registered members in all states. 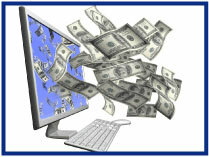 Check out www.bigmarkets.com and click on Affluent Program - New Business to learn more! February 2 - 2:00 - 3:00pm EST. "Architects & Engineers Webinar with CBIC an RLI Company". Join Clarence Sproul of CBIC, an RLI Company, as we discuss Professional Liability Coverage for Architects and Engineers. Our program features A+ rated paper and a flexible, knowledgeable underwriting team. Click here to register. January 18 - 1:00 - 2:00pm EST. "Cracking the Condominium Conundrum". ". How can a policy generating about $75 in revenue cost you $5,000, $10,000, or more? Believing that writing an HO-6 is quick and easy is the beginning of an E&O storm that can cost you thousands (your E&O deductible). Join newly appointed Big "I" Virtual University Executive Director Chris Boggs as he answers the three KEY questions faced by every agent when analyzing and placing coverage for either a unit owner or a condominium association: who "owns" the property; what value applies to the owned property/what should be used; and who is liable for bodily injury and/or property damage. Click here to register. February 15 - 1:00 - 3:00pm EST. "Understanding Commercial Property Underwriting - COPE in all its Glory". Today's commercial property underwriters use the same information their predecessors used nearly 400 years ago: Construction, Occupancy, Protection, and Exposure. Combined, these four elements are known as "COPE underwriting." Join Big "I" VU Executive Director Chris Boggs as he instructs participants in the purpose of and methodology for gathering all necessary commercial property underwriting information. In addition, this course discusses what can be done to reduce and control losses using "COPE" data. Click here to register. 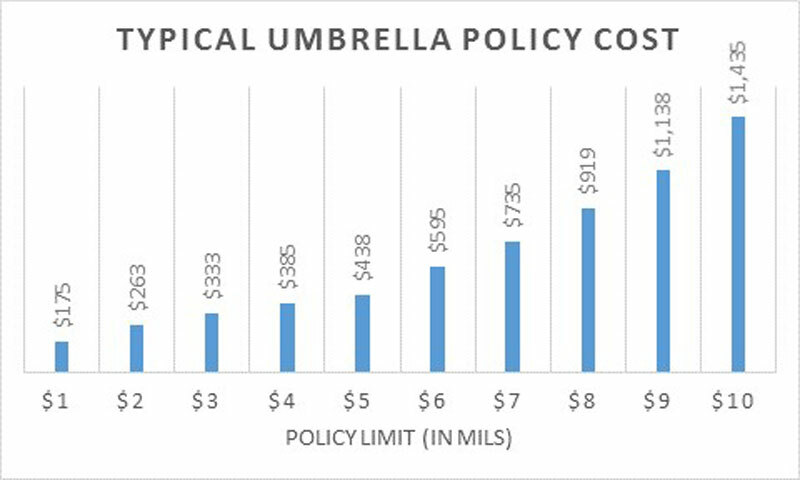 Umbrella Limits and Policy Premiums-What Limits Do You Sell? 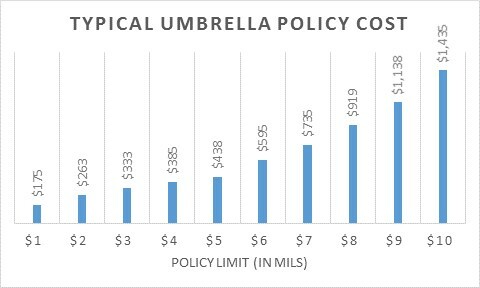 Recently I noticed an increase in filed limits for Personal Umbrella Policies (PUPs) by Erie Insurance Exchange. Changes are coming online in April of this year. They are increasing available coverage limits up to $10 million from $5 million. We at the Big "I" of course have our endorsed market, RLI, available to you for limits on standalone umbrellas of up to $5 million and we have our alternative market with A&M that will provide limits up to $10 million (www.iiaba.net/umbrella). The question for you is, "What limits do you see placed in your agency?" Below is a graph created from the rate filing of the cost difference based on a typical umbrella in the state where the filing was obtained. I estimate that a "typical" umbrella is about $175 for $1 million PUP (in this state). This chart may help you or your team in having that conversation with your clients. Source: Erie Insurance Exchange, Rate/Rule Filing (Date Submitted: 01/11/2017, Disposition Date 01/13/2017),"Tennessee Rules", Page 8. If you are interested in recreating the chart above with a different "typical" PUP, email me and I'll send you the worksheet and table below. "Typical" premiums for a $1 million policy vary by state and you can easily change the $175 to a different figure and the rest is automatic. Increased Limits Factors (ILFs) could vary by state or by insurer from this example but for purposes of a conversation, probably not significantly enough to not be a useful example. Congratulations to our agent in Washington on a Non-standard Homeowner sale of $20,086 in premium!